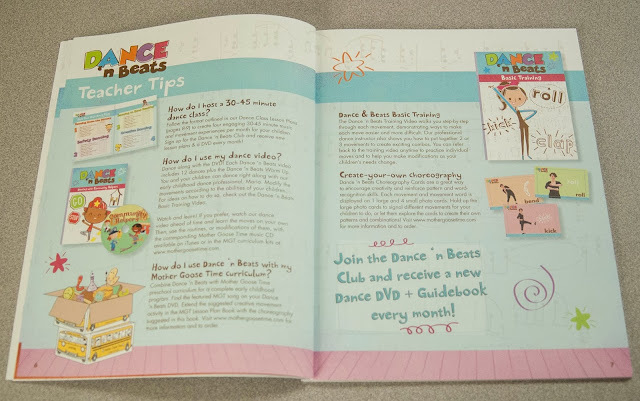 This is the third month that Dance 'n Beats has been out. 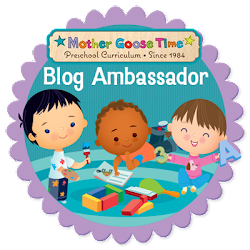 It's a brand new Experience Early Learning/Mother Goose Time product. However, this is the first month I finally remembered to order! It just showed up at my door and I am so excited. I was just expecting an awesome DVD, but as always, you get more than you bargain for with any Experience Early Learning product. As soon as it arrived I opened it up, put the DVD in and reviewed the book. The kids and I sat through and watched the DVD from beginning to end. No we didn't join in, not yet. Peter was just waking up from a nap and Lachlan was acting a bit shy at the moment. But I know they are going to love these dances. They were, however, entertained by just watching, so that's a good sign. November's theme is community helpers. We watched Maria, dance like a construction worker, hair dresser, police officer and mailman. She taught us how to stop, drop and roll and how to catch our coughs when we are sick. 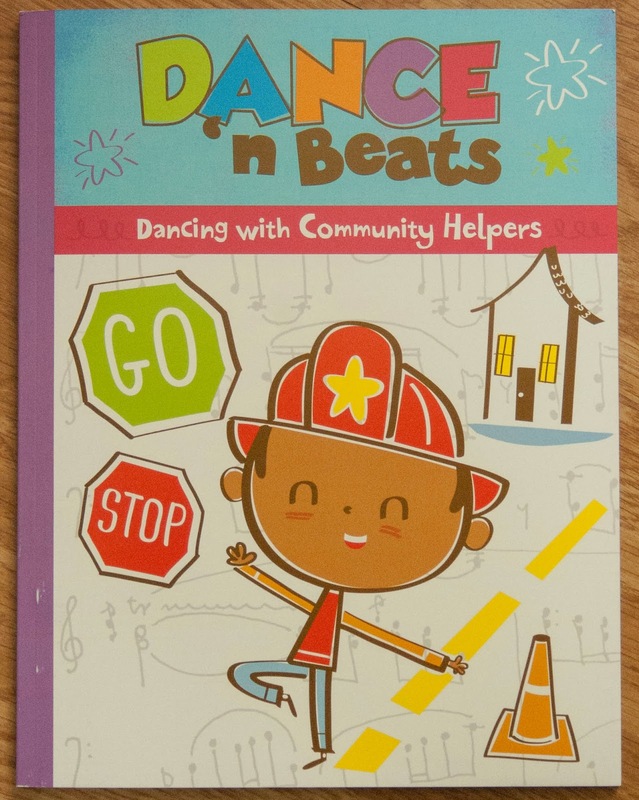 Not only is Community Helpers the theme of the Dance n' Beats but it is also the theme for the month of November's Mother Goose Time curriculum! It all goes together. I had to take a picture of the spine of this book that comes with the DVD so you could see how thick it is. Not a little book. On the first page spread of the book it tells you what is included and shows you a quick run through of the 21 basic moves you will find with in the dances. The second page spread has Teacher Tips. This is where I learned that there is a Basic Training DVD that walks you through each movement, demonstrating ways to make each move easier or more difficult by adding in combo moves. They also have Dance n' Beats Choreography Cards that you can buy to make your own choreography. You get 1 large and 4 small photo cards showing each of the choreography moves. You can work together with your kids to make up your own dance! Here is the 3rd page spread. How to host your own dance class! 30 to 45 minute lesson plans. 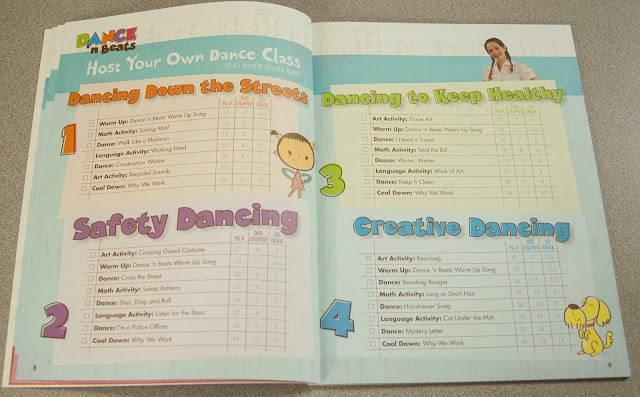 So your options are to extend the creative movement lesson in the MGT Lesson Plan Book by adding in a song or two from the DVD or have your own dance class. I am not sure if my kids could keep their attention focused for a full class, but I am going to have to give it a try. My other thought is to see if I could get a group of other homeschool kids together to join us for a Dance Class. 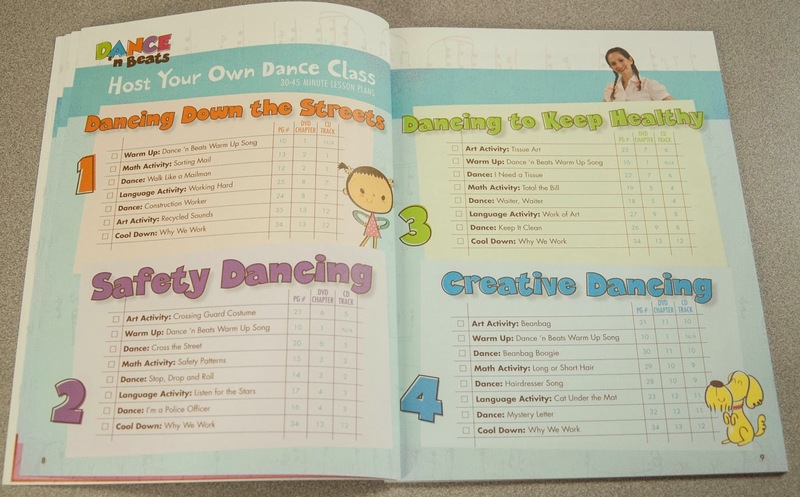 Each dance class has both the DVD chapter number of the song and the CD track number listed. Each month with MGT we get a music CD with songs that correlate with the months theme. The songs that are on that CD are the songs we dance to on the DVD. This just allows you more variety with your dancing. 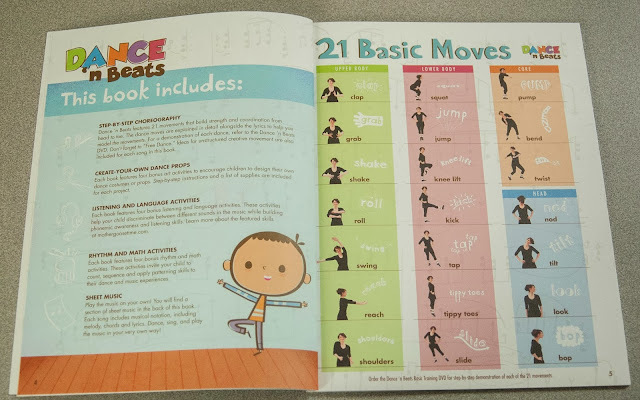 For each dance on the track there is one full page spread. It walks you through the music on the left and shows you where you can add in combo moves for added difficulty. The combo moves are highlighted in yellow. I have a friend who is a Zumba instructor and homeschooling her boys. I might need to get her on board with all this. Being 21 weeks pregnant, the simple moves were plenty, especially where any jumping moves were involved. On the right hand side there is a lesson thrown in. Sorting Mail has you draw shapes or numbers on multiple shoe boxes and matching shapes and numbers on large envelopes. Place the envelopes in a large pile in the center of the floor and put the shoe boxes all around the room. 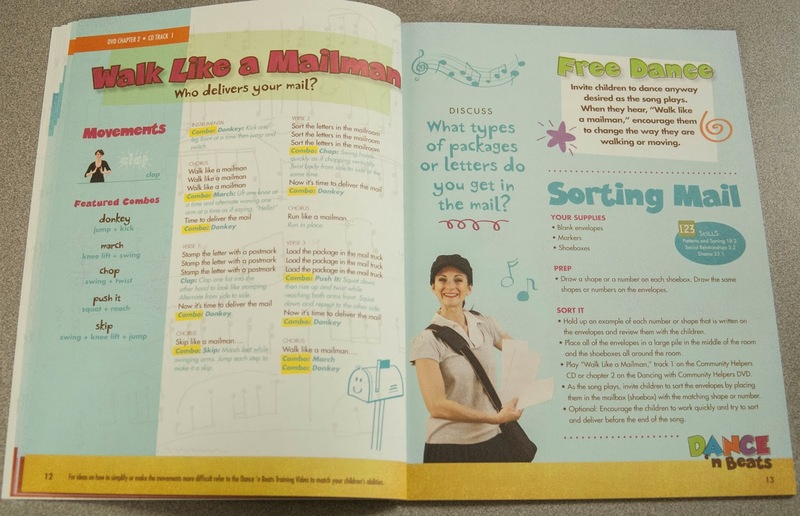 Play the song "Walk Like a Mailman" and invite the children to sort the envelopes to the right shoe box. They also have a recommendation for a Free Dance which leaves it open for the kids to dance as they please. But as they listen to the song, when they here "Walk like a mailman" encourage them to change the way they are walking or moving. 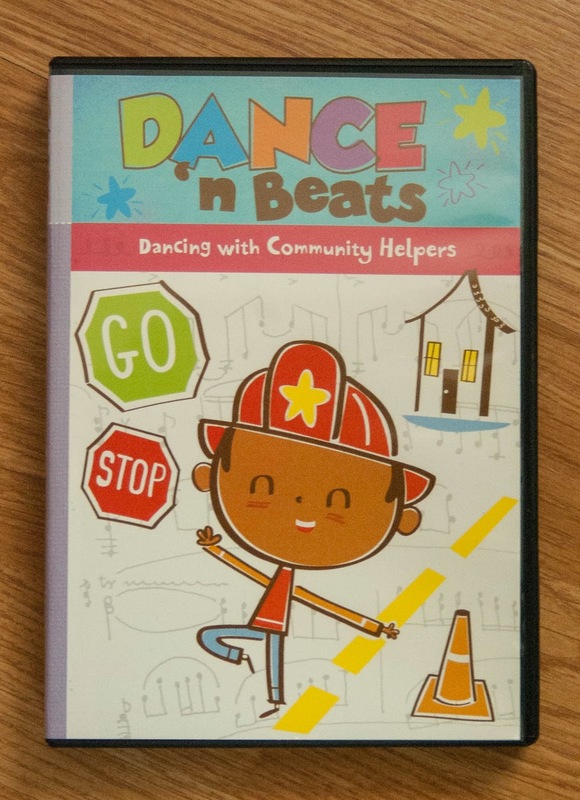 For this Free Dance and the above lesson, it would probably be best to play the song on the CD. 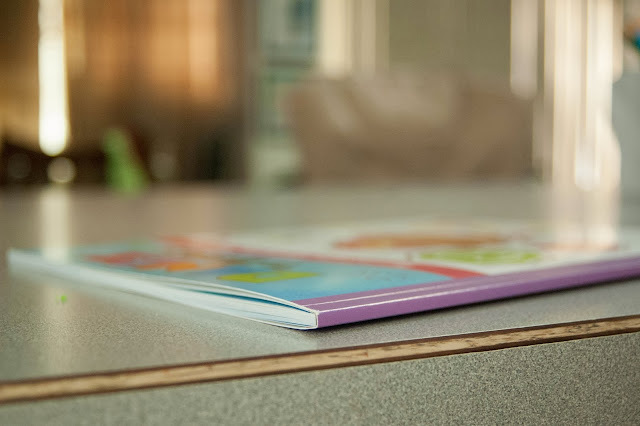 It just seems like if the DVD was running there would be too much stimuli and would not provide a good opportunity for the kids to focus on the task at hand. And of course, it would not be Mother Goose Time with out an open ended discussion question. What types of packages or letters do you get in the mail? Mother Goose Time is really good at creating these sort of add-ons to their product, but they are always add-ons that can stand alone. That is again the case with Dance n' Beats. You could easily purchase all these DVDs and start your own official dance class for kids (although I am not sure if that is allowed), or just simply use this product as an add on to what ever homeschool curriculum you use or in-school curriculum. The combination of music, movement and exercise with dance and having to use your full concentration to watch and follow along with Maria is just a home run for brain health! I used to work with people living with Alzheimer's. I have been to a lot of conferences and lead many support group gatherings. People want to know what to do to keep their brains healthy and strong for longer. Anything that keeps your heart healthy will help to keep your brain healthy - exercise. Using your brain to do "novel" things, something new to you - learn new dance moves. Lastly music. We used it as therapy at our community. As I watched some of our residents transition through their journey with Alzheimer's I was always in awe of the fact that music would remain. When words could not be said to communicate basic needs, the words to a favorite hymn could still be sung. Music resonates in every part of the brain and puts your brain to work. So flex the muscles and brain power of your kids and get to dancin'. To follow along with our adventures on Facebook head on over to https://www.facebook.com/dandelioninherhair . Where can I buy these DVDs? My daycare lady has a handfull of them and my kids can't get enough. I would like to buy them for home use. Please and Thank you! If you follow the link in the first paragraph where it says Dance n Beats it should take you right there. They sell them through Mother Goose Time. 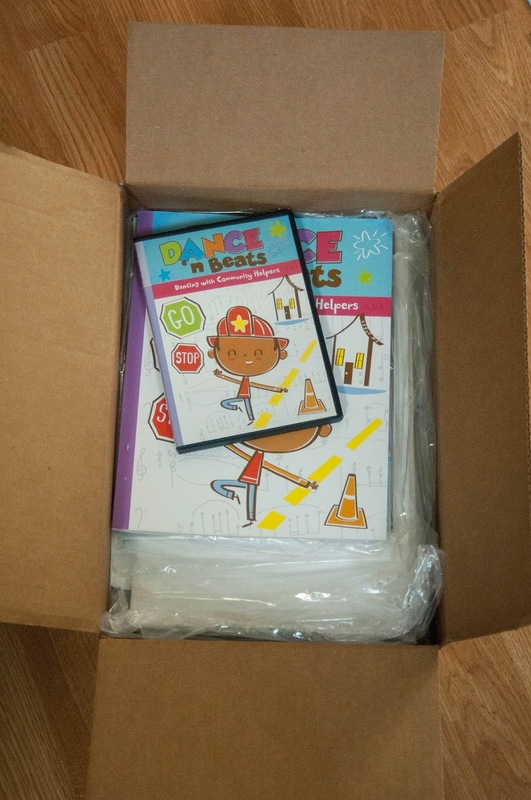 So you can go to www.mothergoosetime.com They are 24.99 for each DVD because they are designed for classroom use. Our favorite so far is the one I wrote about here, Community Helpers. Hope that helps! Glad your children are enjoying them.